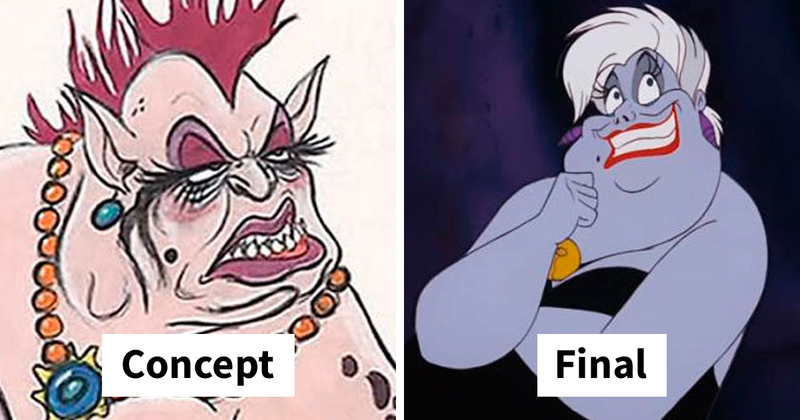 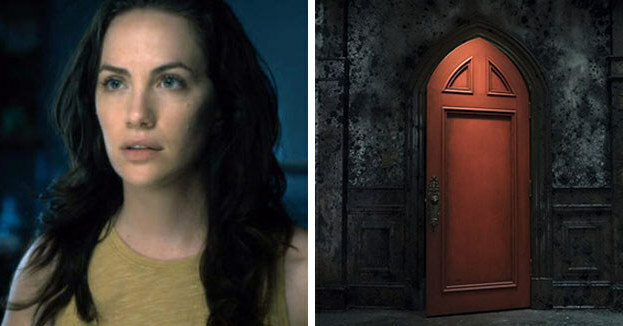 What if Disney characters celebrated Halloween? 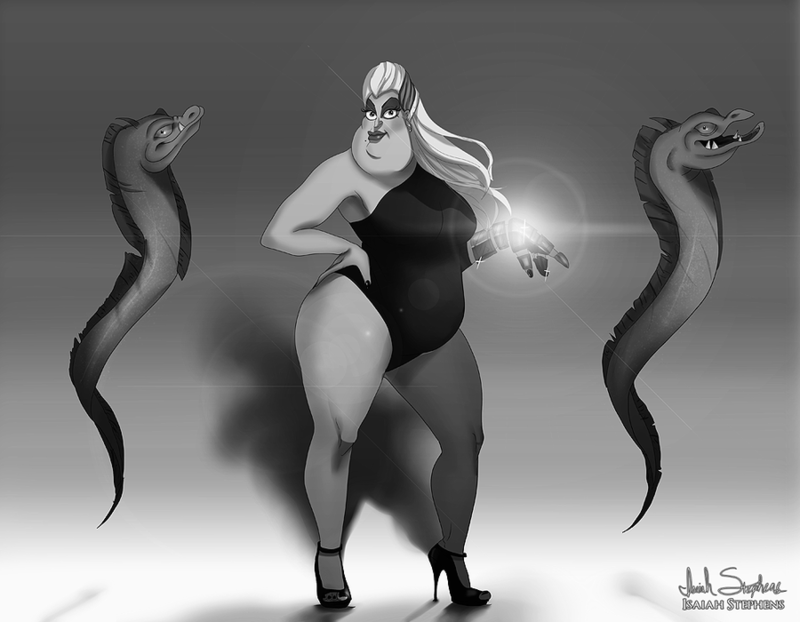 Artist Isaiah Stephens did just that. 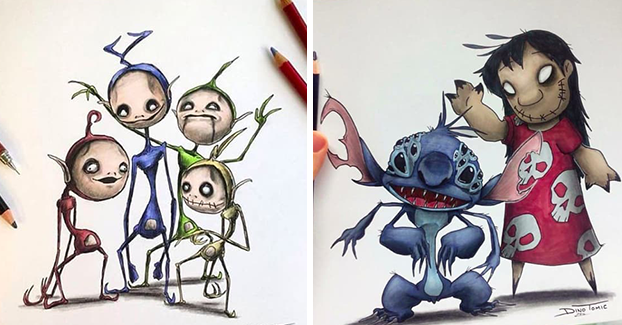 He re-imagined all of our favorite Disney characters in Halloween costumes and the result is quite amazing if i say so myself. 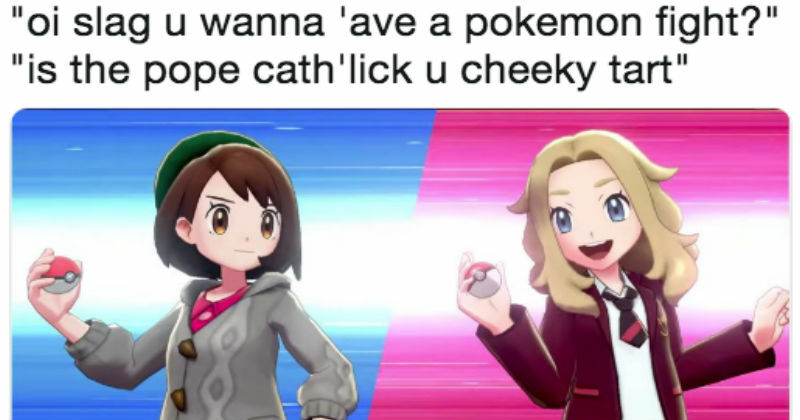 So just relax and enjoy. 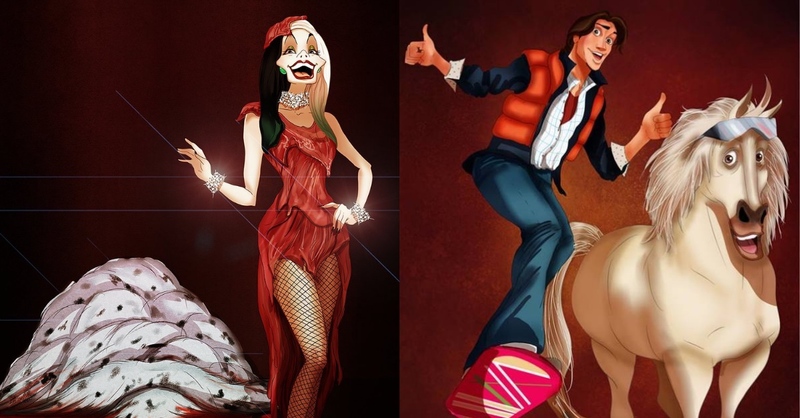 You might even get ideas for your own Halloween costume. 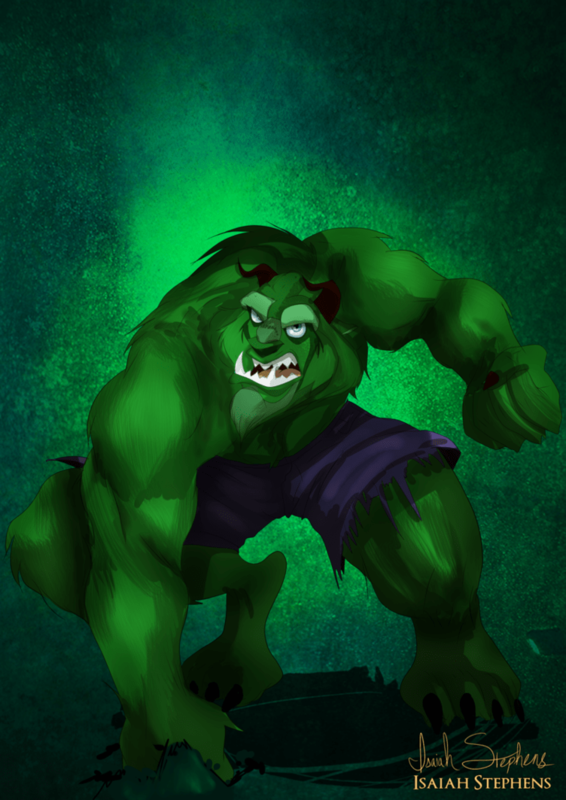 #1 Beast as the Hulk. 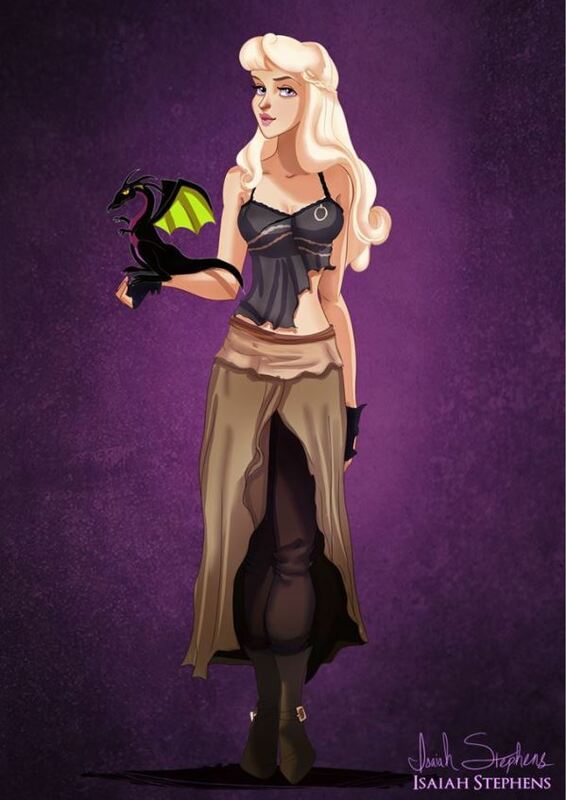 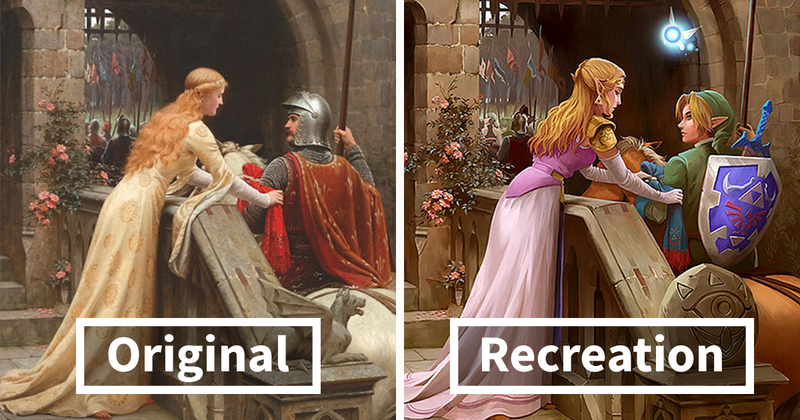 #2 Sleeping Beauty as Danaerys Targaryen (Game of Thrones). 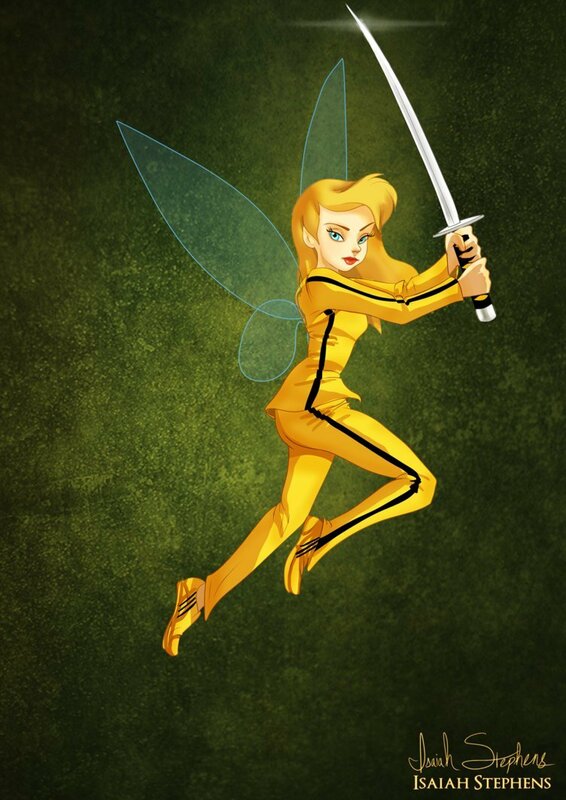 #3 Tinkerbell as Beatrix Kiddo (Kill Bill). 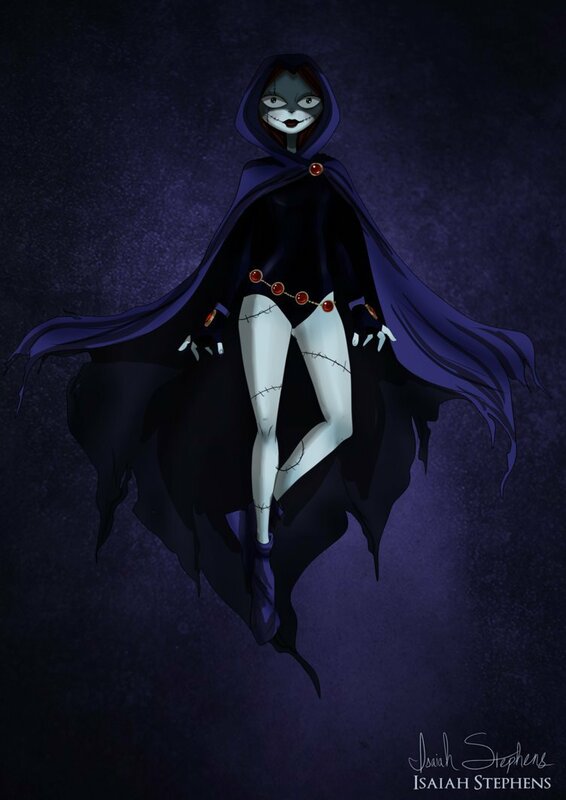 #4 Sally as Raven (Teen Titans). 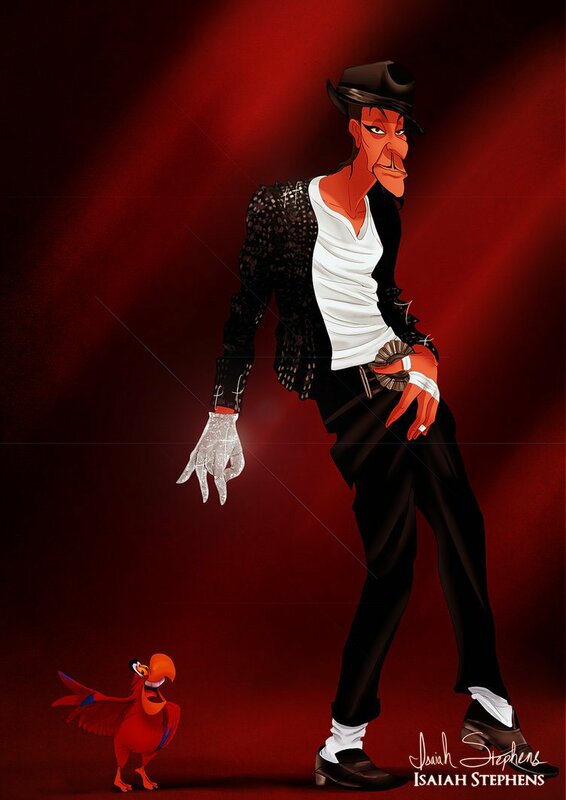 #5 Jafar as Michael Jackson feat. 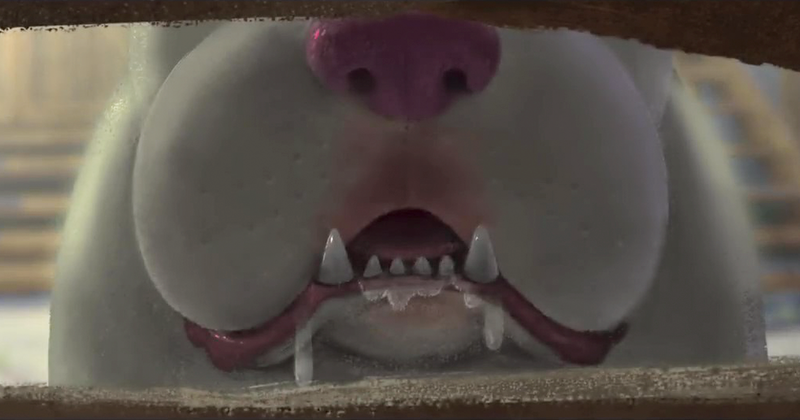 Iago. 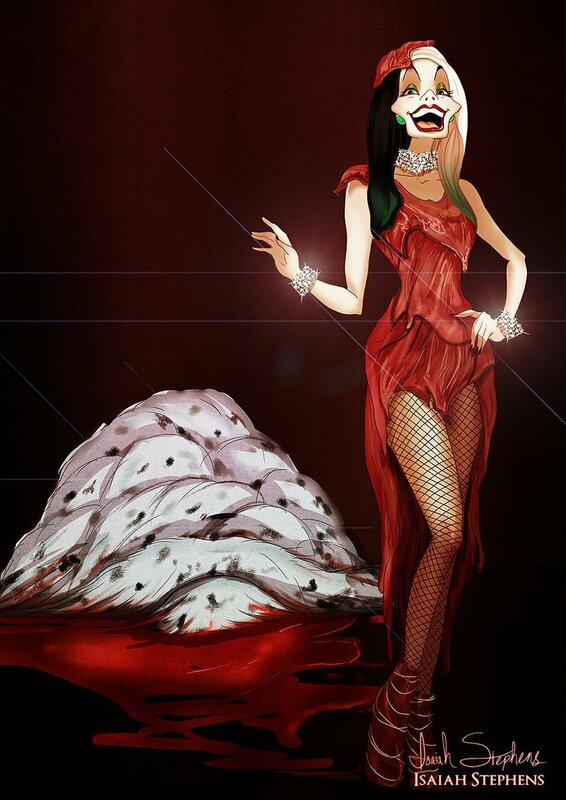 #6 Cruella DeVil as Lady Gaga. 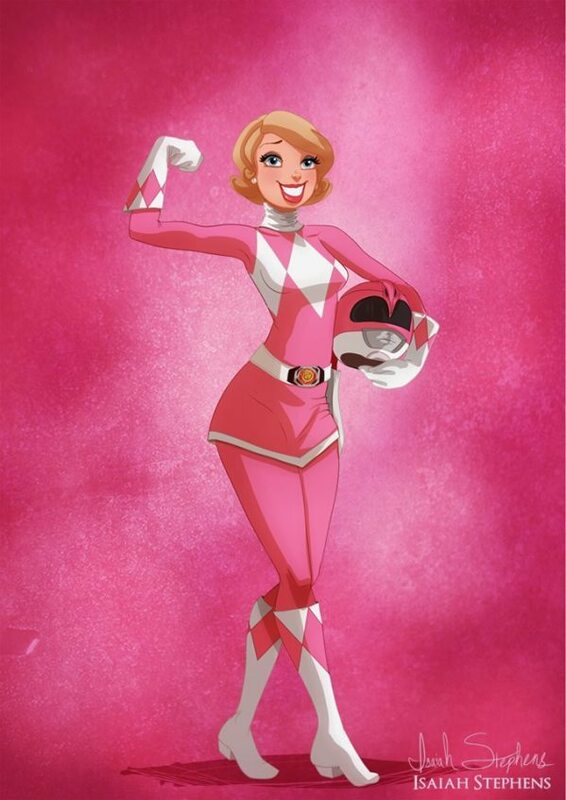 #8 Charlotte LaBouff (Princess & the Frog) as The Pink Ranger. 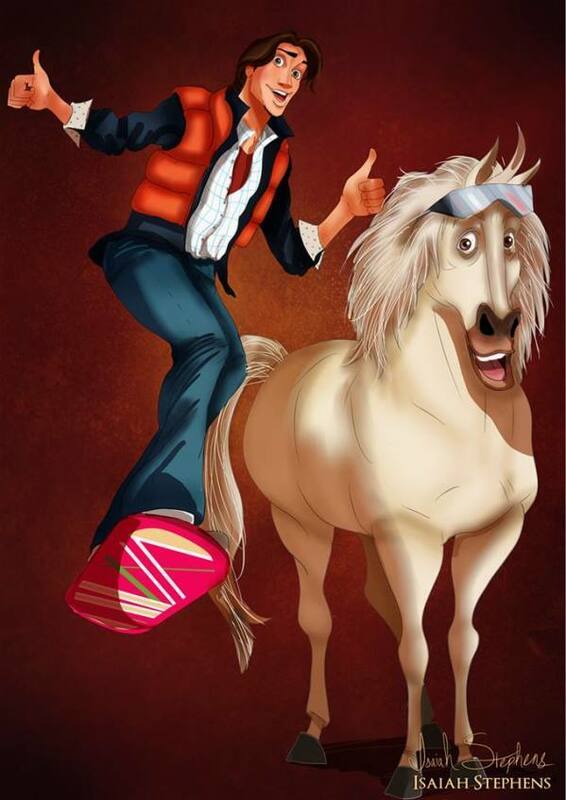 #9 Flynn Ryder & Maximus as Marty McFly & Doc Brown (Back To The Future I, II, III). 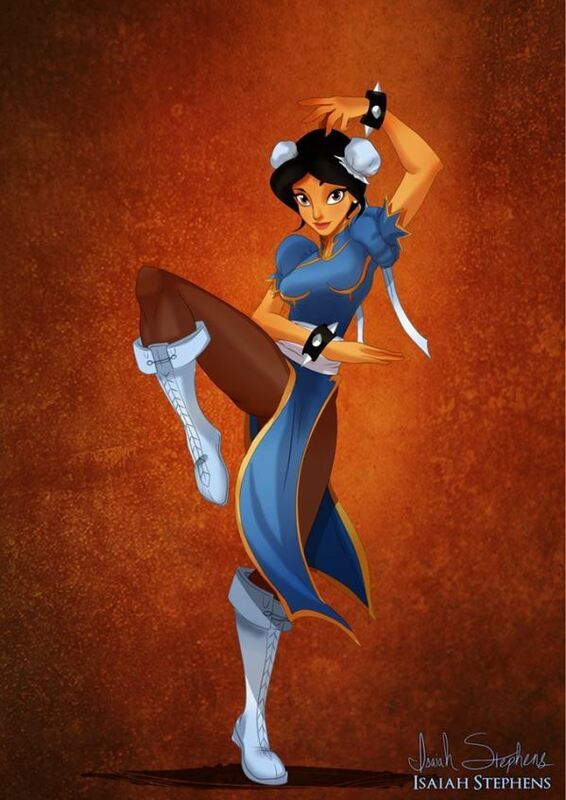 #10 Jasmine as Chun-Li (Street Fighter). 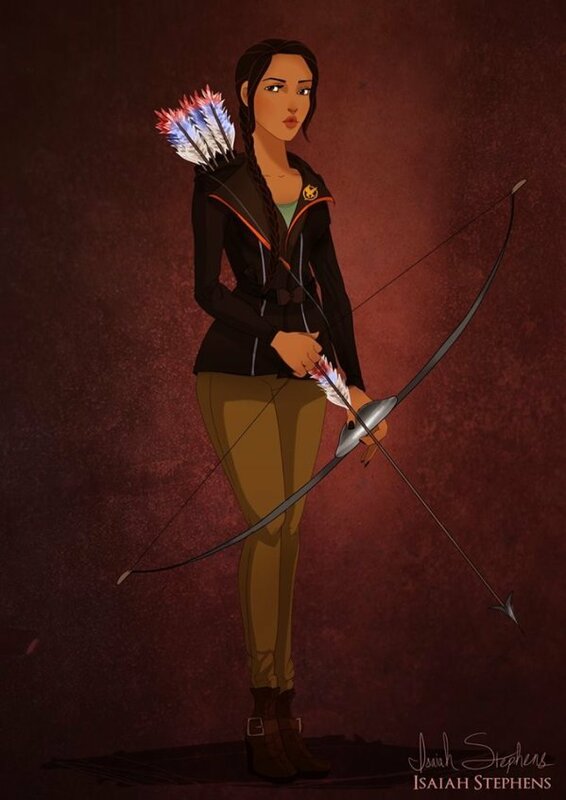 #11 Pocahontas as Katniss Everdeen (Hunger Games). 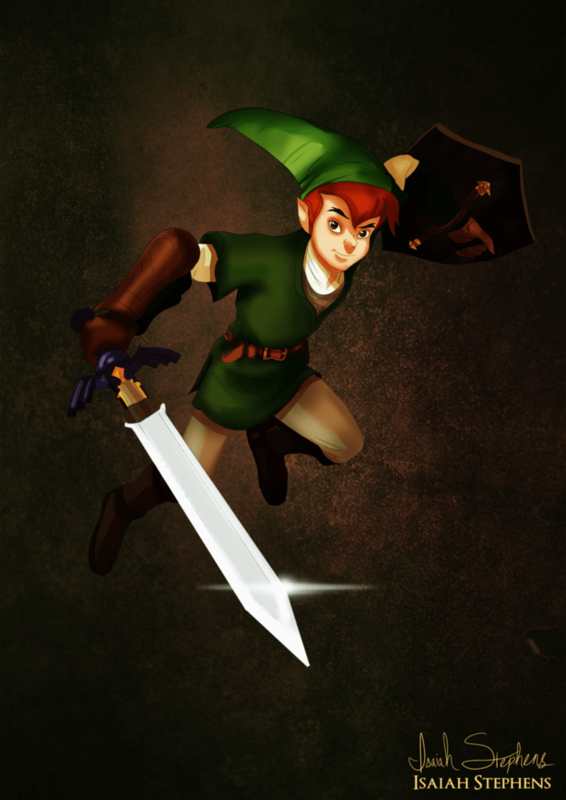 #12 Peter Pan as Link (Legend of Zelda). 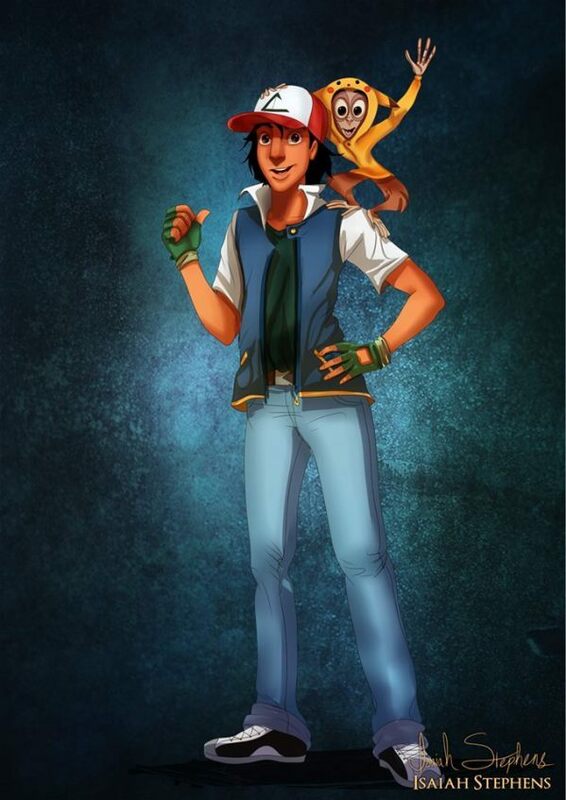 #14 Aladdin & Abu as Ash Ketchum & Pikachu (Pokemon). 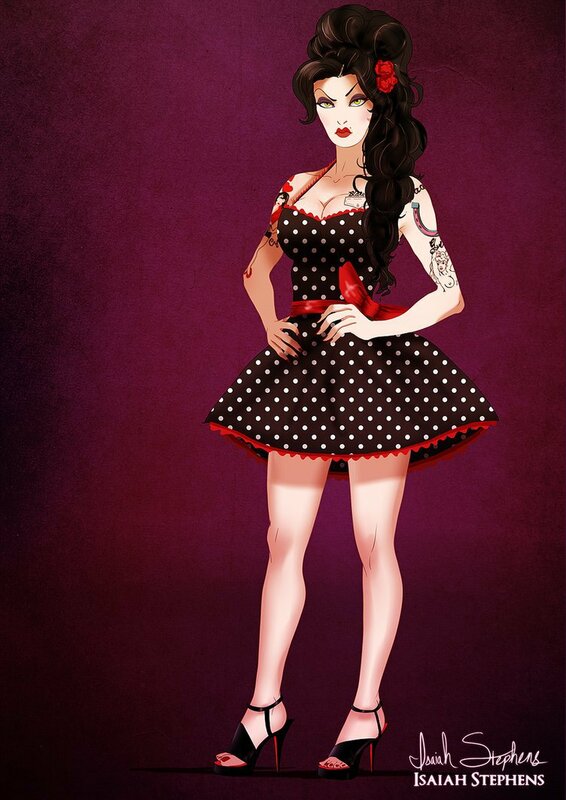 #15 The Evil Queen as Amy Winehouse. 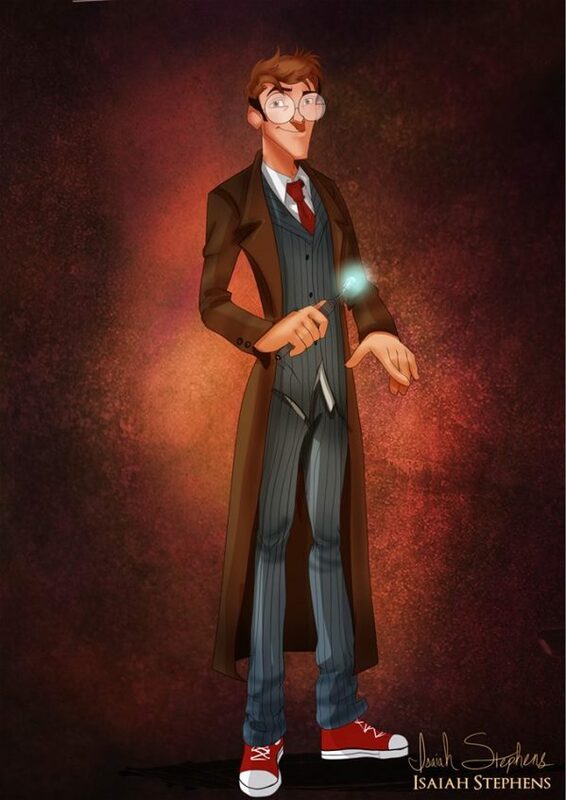 #16 Milo as Doctor Who. 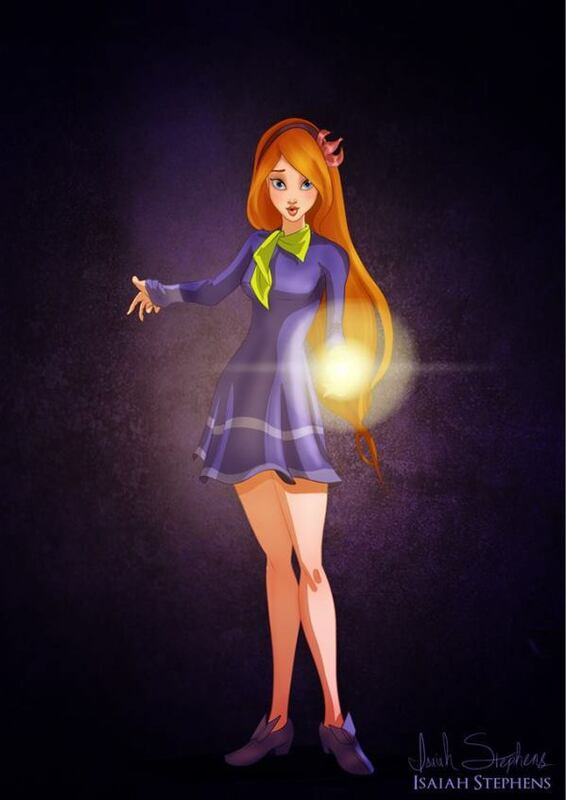 #17 Princess Giselle as Daphne Blake (Scooby Doo). 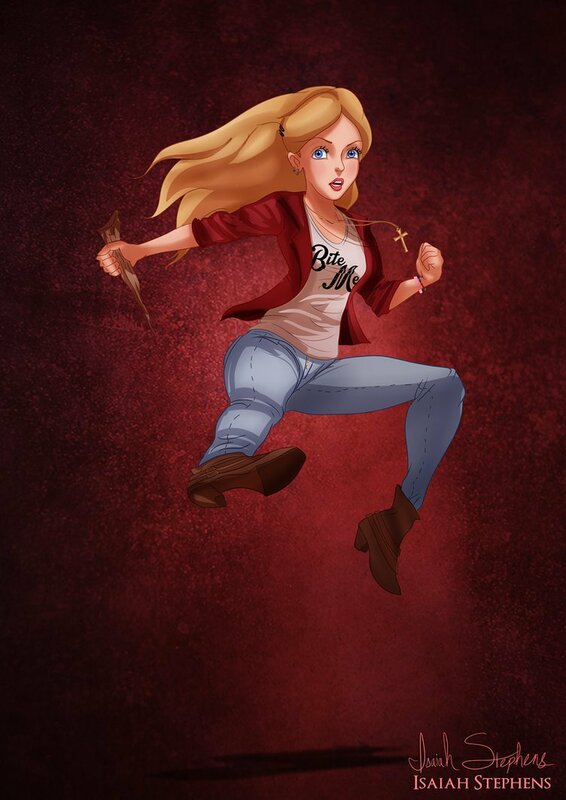 #18 Alice as Buffy the Vampire Slayer. 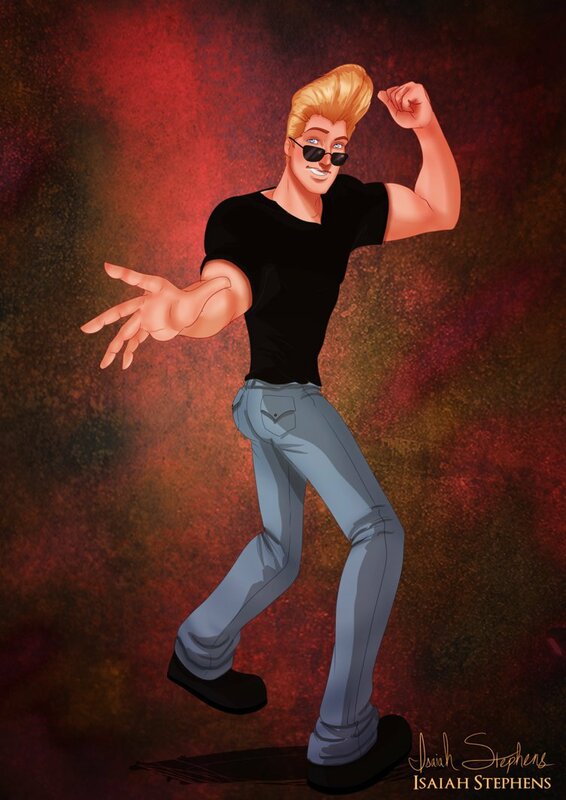 #19 John Smith as Johnny Bravo. 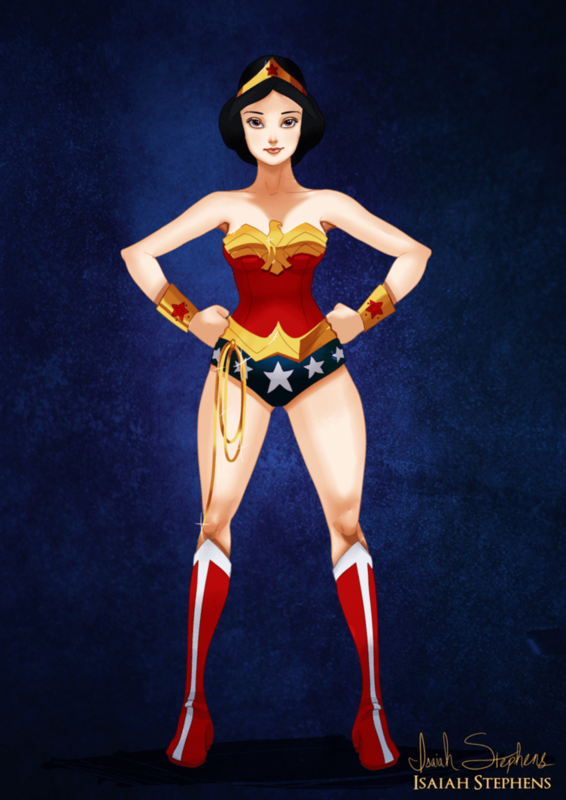 #20 Snow White as Wonder Woman. 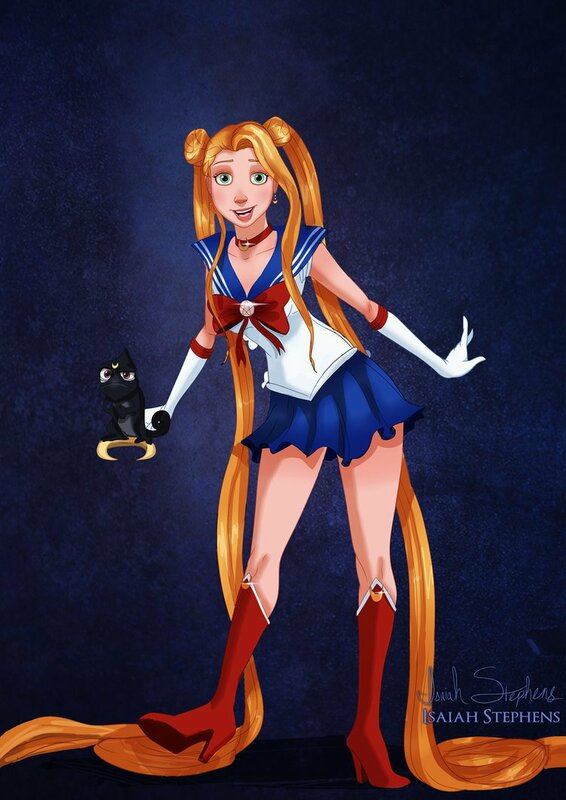 #21 Rapunzel as Sailor Moon. 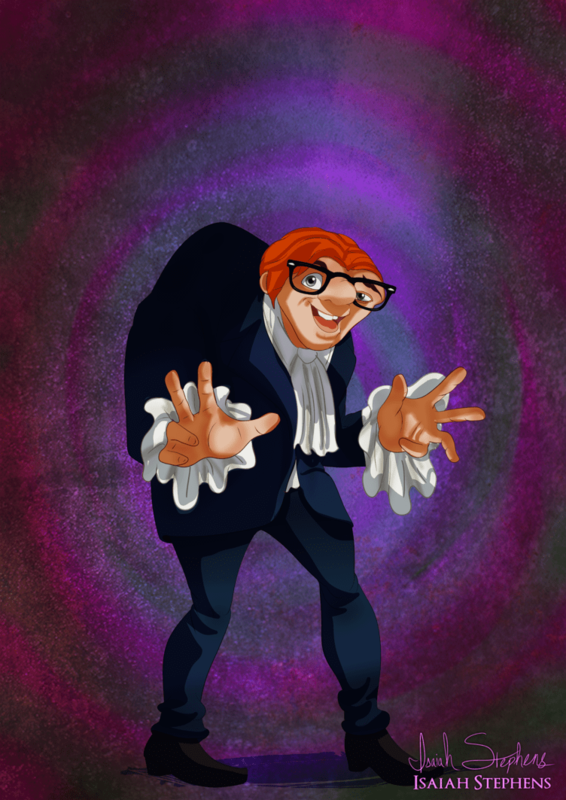 #22 Quasimodo as Austin Powers. 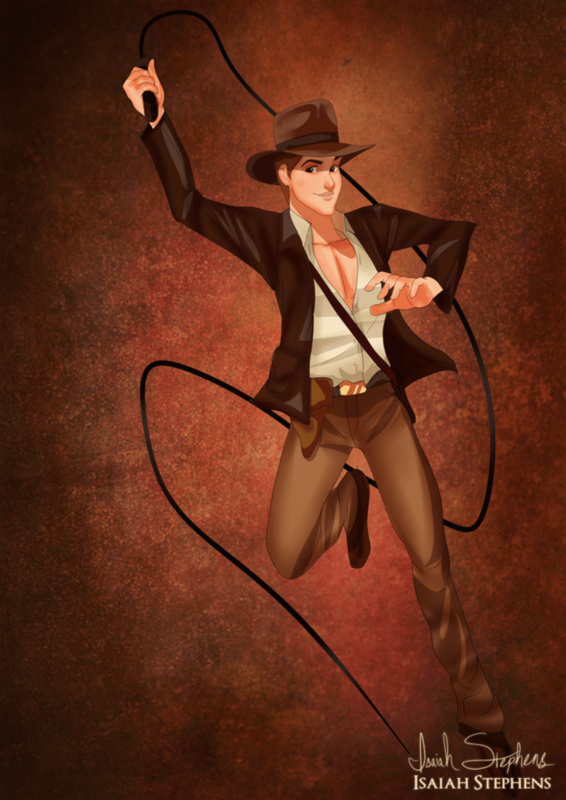 #23 Prince Philip as Indiana Jones. 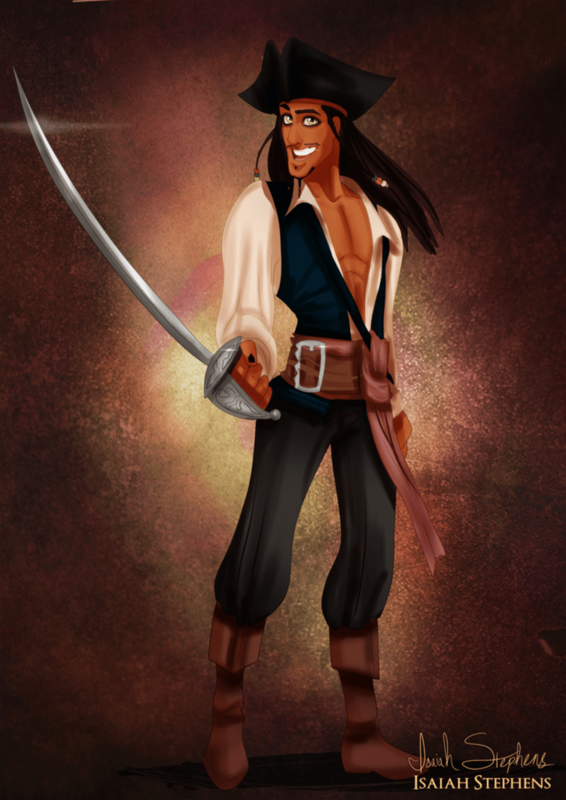 #24 Prince Naveen as Captain Jack Sparrow. 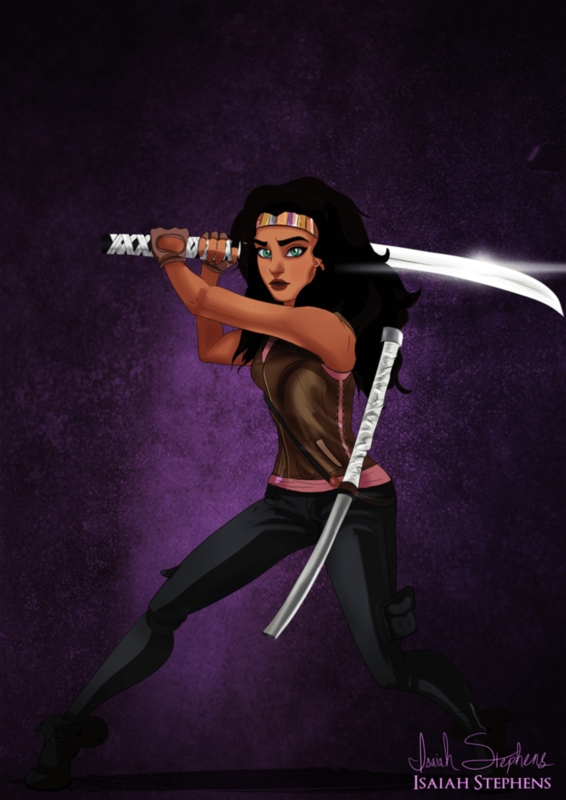 #25 Esmeralda as Michonne (The Walking Dead). 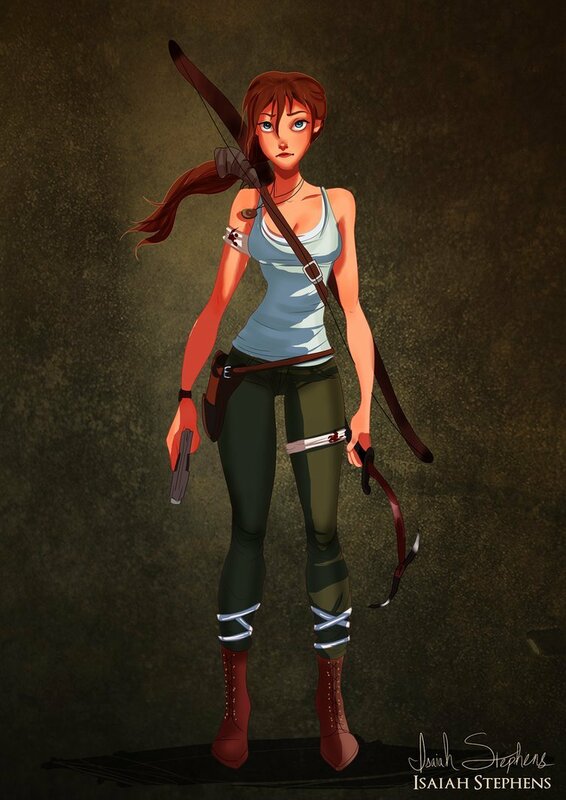 #26 Jane Porter as Lara Croft (Tomb Raider). 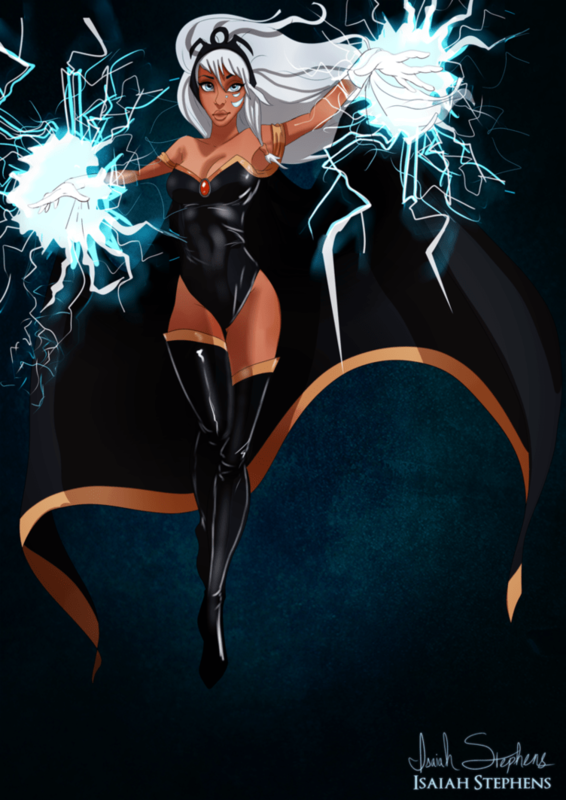 #27 Kida as Storm (X-Men). 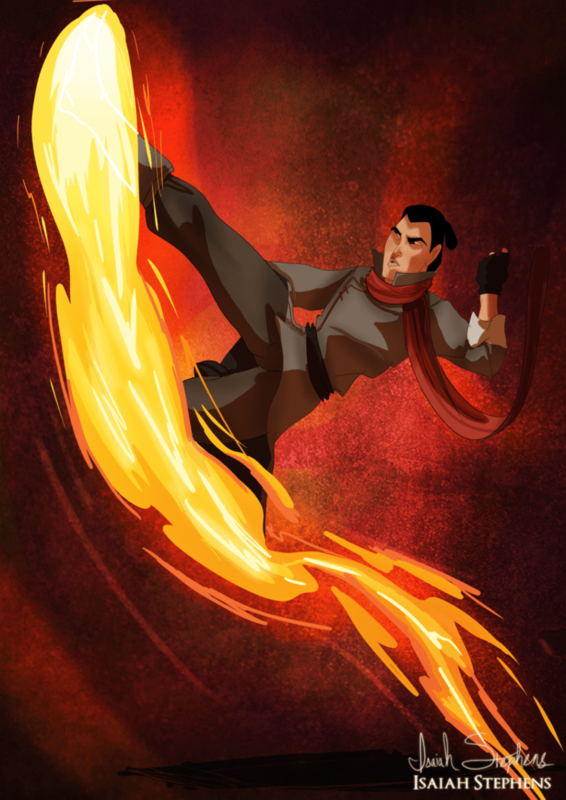 #28 Li Shang as Mako (The Last Airbender). 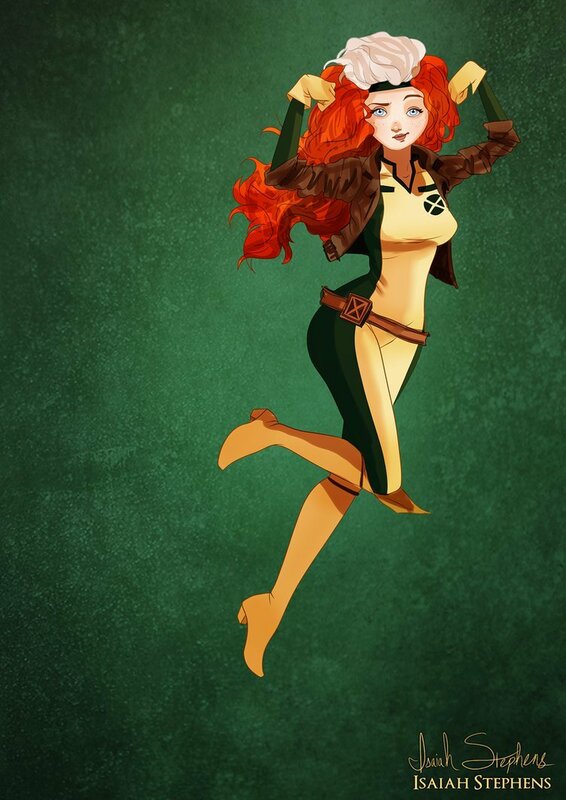 #29 Merida as Rogue (X-Men). 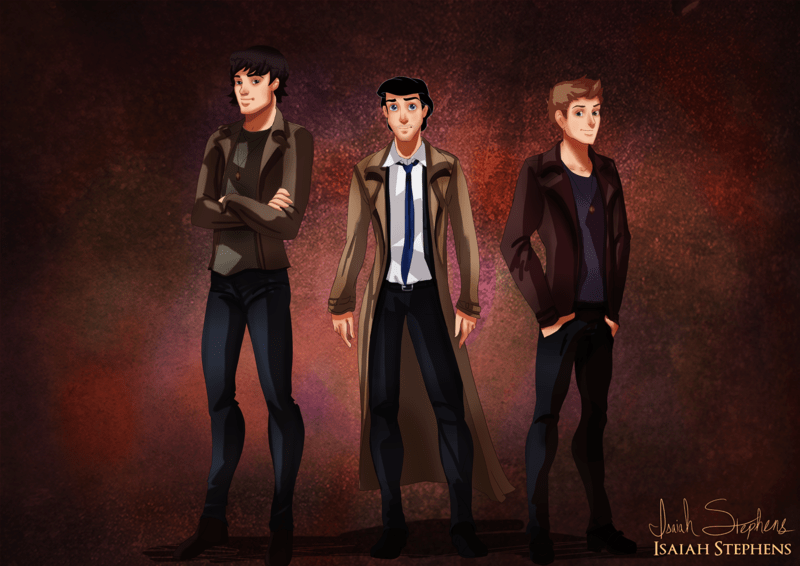 #30 Prince Charming, Prince Eric, & Prince Florian as Sam, Castiel, & Dean (Supernatural). 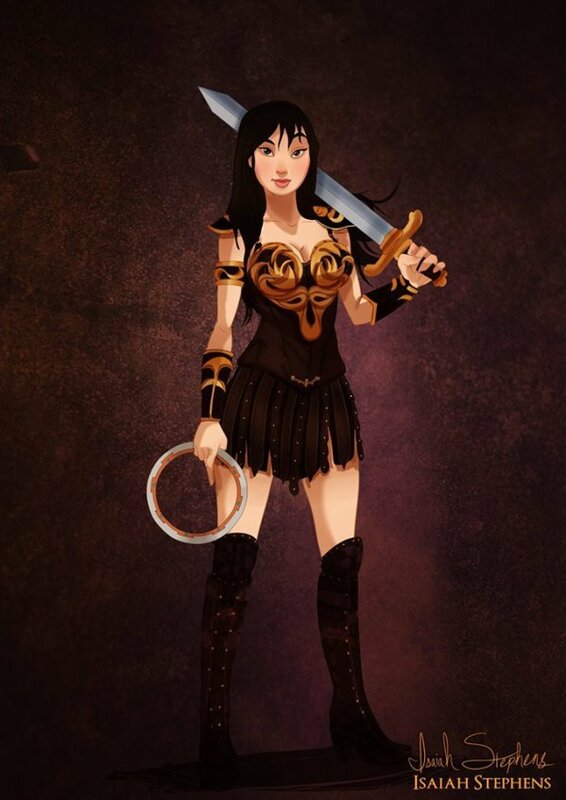 #31 Mulan as Xena Warrior Princess. 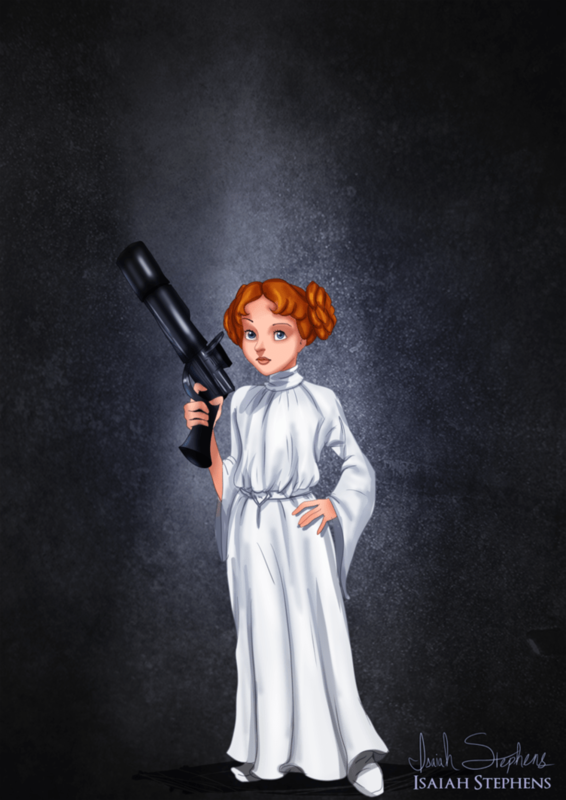 #32 Wendy as Princess Leia (Star Wars). 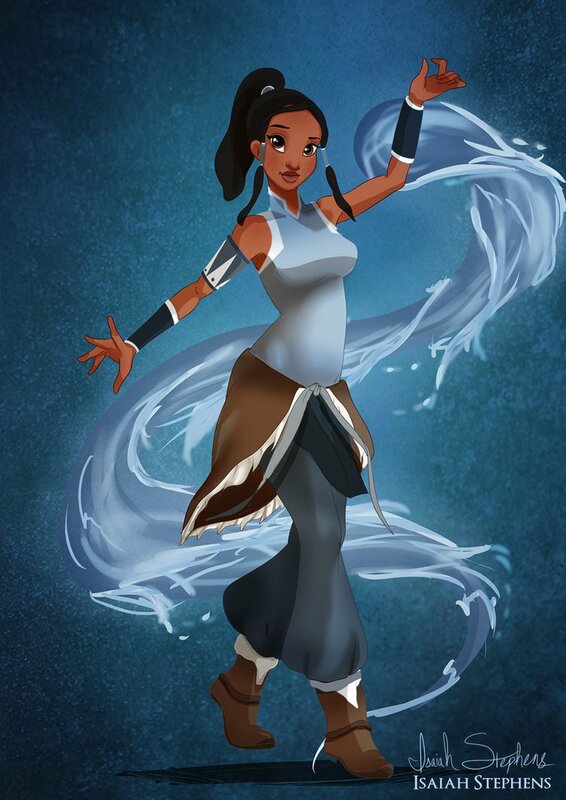 #33 Tiana as Korra (The Last Airbender). 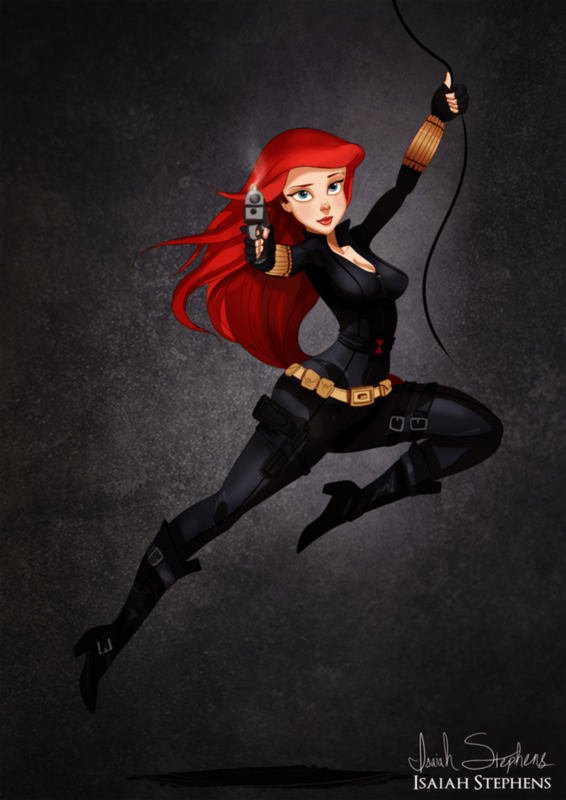 #34 Ariel as Black Widow. 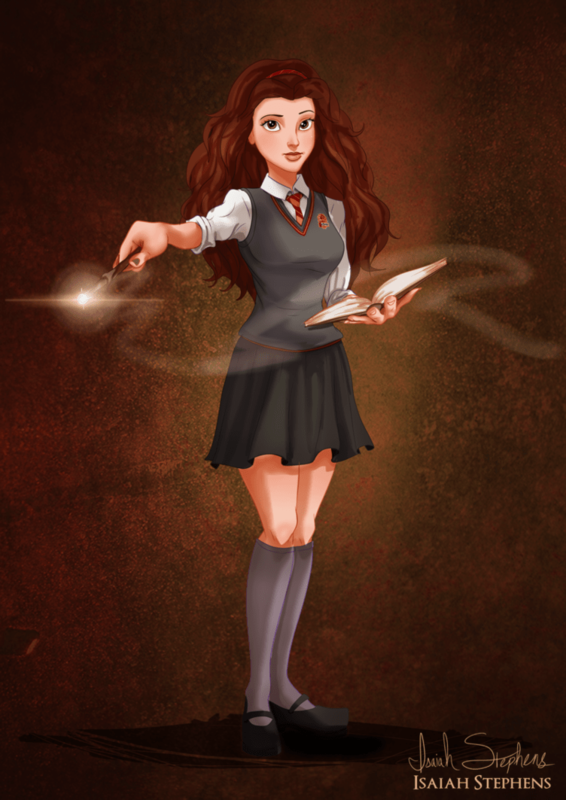 #35 Belle as Hermione Granger (Harry Potter Series). 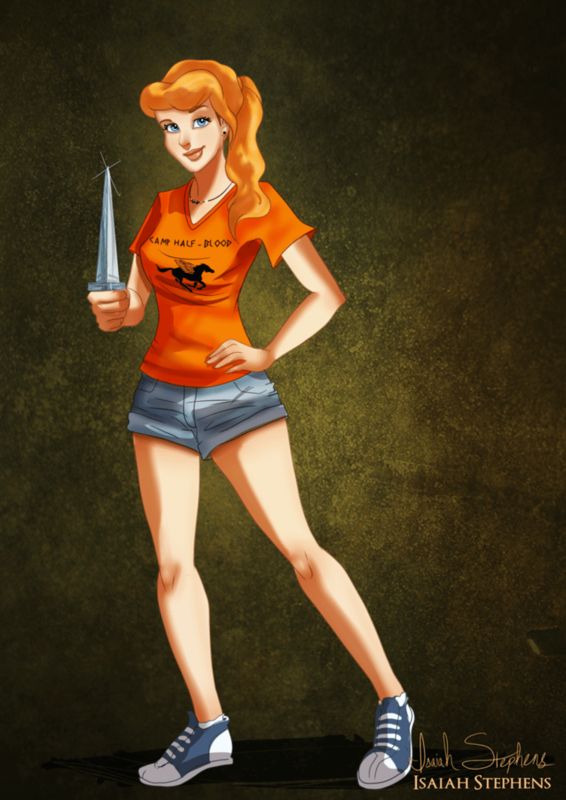 #36 Cinderella as Annabeth Chase (Percy Jackson Series). 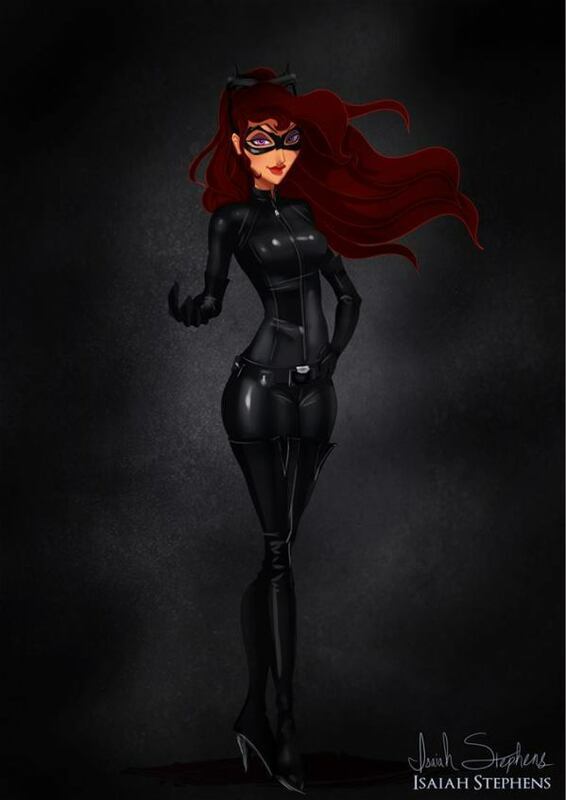 I am just an ordinary girl with many dreams that I am trying hard to achieve. 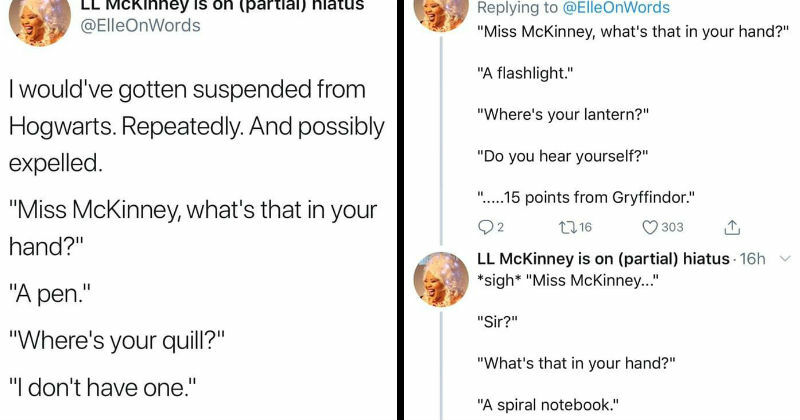 I am currently a student and working part time. 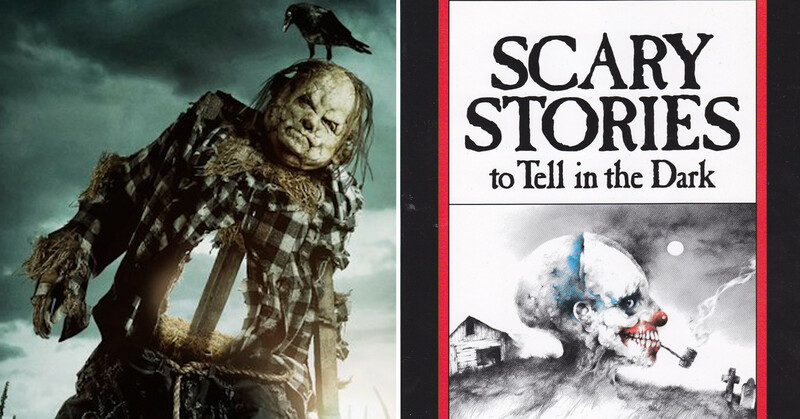 I have been writing since I was 13 years old and it has always been my dream to get my book published someday.